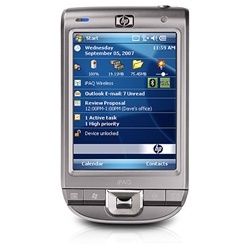 Designed to keep your life in balance, the HP iPAQ 110 Classic Handheld is a sleek, stylish personal organizer and affordable companion to your cell phone. Go online with Wi-Fi and keep your calendar, contacts and tasks up-to-date. Get online easily when Wi-Fi is not available. 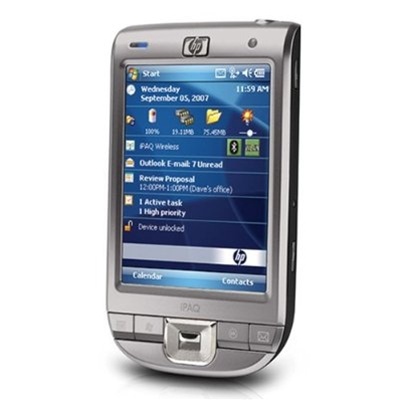 Connect your PDA to your Internet-enabled mobile phone with Bluetooth and access the Internet through your cellular service. First handheld organizer with the powerful features of the Microsoft Windows Mobile 6 Classic operating system: Be productive using mobile versions of familiar Office tools such as Word, Excel, PowerPoint, and Outlook, and even view PDF documents. Designed to feel good and work well in your hand, and it looks good everywhere you go. And the bright, beautiful 3.5-inch touch screen display allows for easy viewing no matter where you are. Check your email, calendar, and contacts at the office, and other Wi-Fi hotspots at airports, cafes and hotels over a secure connection to your company's Exchange server. 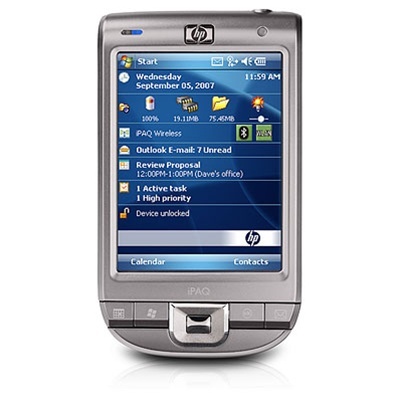 View, share, and manage your photos with HP Photosmart Mobile. Play pre-installed games or download your favorites from the Internet. Listen to music and watch videos with Windows Media Player 10 Mobile.